Loving Facebook fan pages for business? Guess what, fan pages just got better – Whether you are a B2C or B2B company, Facebook has added new features and benefits that help you get the most out of your social media efforts. 1. Engage with Fans More Directly – For the first time ever, Facebook fan pages can act as individual users with the ability to “Like” other Facebook pages – This feature allows brands to act essentially as an individual user. 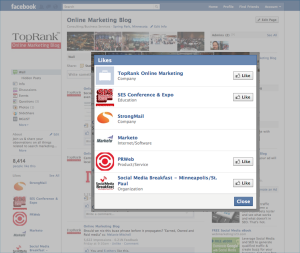 By “liking” other pages, you humanize your brand and show support for other organizations that are relevant to your fans. 2. 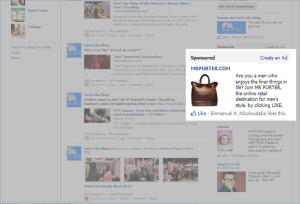 Reach Your Audience with Sponsored Stories – Already using Facebook ads? If so, you can augment your existing ads with new Sponsored Stories. 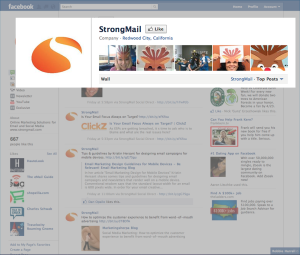 • “Like” stories, displaying an ad that shows the user recent friends who have “liked” a product or brand. Think of Sponsored Stories as a way to freeze a newsfeed story in time so that it remains relevant to fans for an extended period. Sponsored Stories can augment your Facebook ads and act as word-of-mouth marketing between Facebook friends, which adds credibility to your brand. 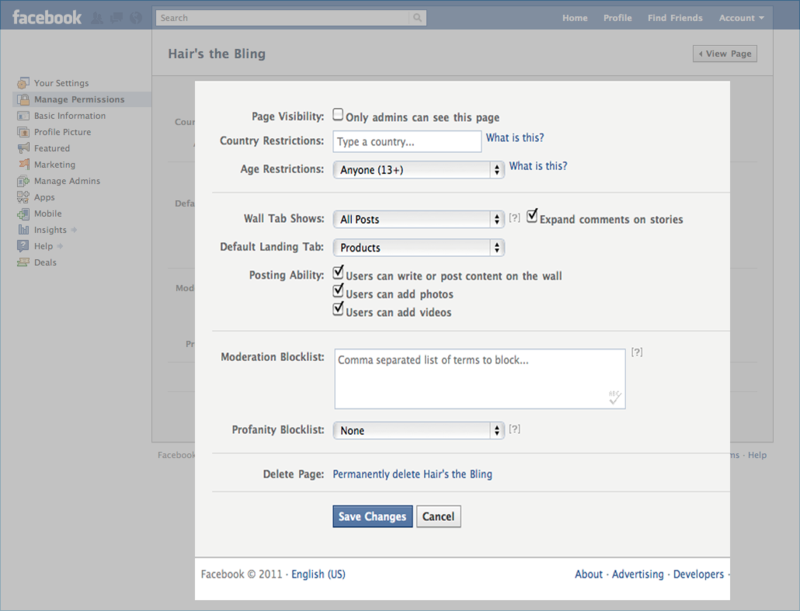 For more information on changes made to Facebook ads, visit ClickZ’s blog post, Facebook Debuts User Generated Ad Option. 3. Share Corporate Info Easily with New Tab Location – To make Facebook easier to navigate, tabs which used to be located at the top of your profile page, have moved to below your profile photo. This new location allows greater visibility for the information you want to share instead of requiring your fans to hunt through irrelevant tabs. The information box has also moved; it now lives inside of your information tab on the left hand navigation, again, making your company details easier to find. Recent awards, product promotions, and events are great items to showcase here. 4. Showcase Photos with New Enhanced Photo Sharing Features – Recently tagged photos now appear across the top of the profile page in a photo strip, which lets fans view pictures without leaving the company page. This advanced feature also allows you to customize which photos you want to display in the photo strip, such as our client, StrongView did with company holiday photos in the picture above. A creative way to entice clients? Feature new products? We think so. Overwhelmed by all the possibilities of the new photo strip? Harness your creativity with an inspirational article from Mashable that illustrates 10 new uses of the new photo strip. 5. Increased Content Controls Protect Your Brand – Content control has never been easier now that companies have the ability to approve or deny user comments before they ever go live. 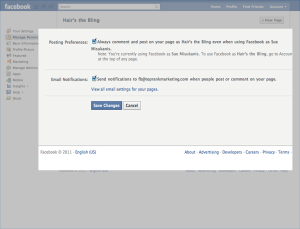 Avoid spam links and negative comments from appearing on your Facebook wall by using this new feature. 6. Receive Notifications of Facebook Activity – Avoid missing a positive comment or question that has been posted to your Facebook wall. 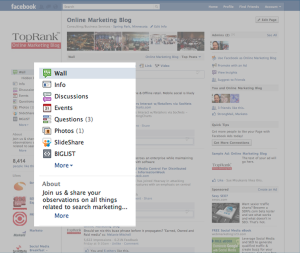 To take advantage of engagement opportunities happening on your Facebook, you can now opt in to receive email notifications each time a wall post is made. This ensures companies (especially small businesses) never miss an opportunity for engagement with customers, employees, or potential clients. 7. Geotarget to Reach your Ideal Audience – Got a business with a single location? Don’t spend valuable time trying to impress someone 1,500 miles away, when you can use geotargeting to hit your primary target. 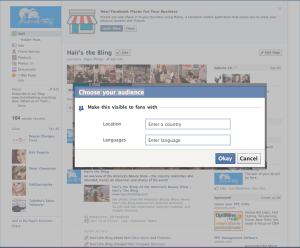 New geotargeting features allow you to share your posts and status updates to users by country and/or language. Planning a local event? Use geotargeting to display promotions and events only to relevant prospects, such as our client, Hair’s the Bling is doing in the photo above. The new Facebook allows flexibility for your business to grow and evolve as your market changes or your local business becomes a national brand..
9. 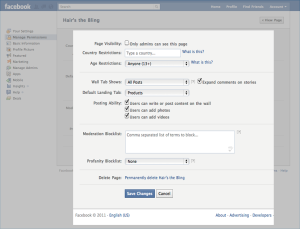 New External Commenting Platform – Facebook is now allowing external commenting. What this means is that logged-in users can comment on articles and blog posts without having to list their credentials or log in. How does this change things for you and your business? 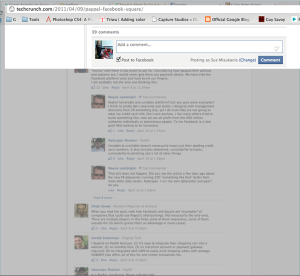 Well, by making commenting easier, Facebook users will be more likely to engage in discussions on the web. This means more chances for your brand to be mentioned and more opportunities for dialogue..
10. 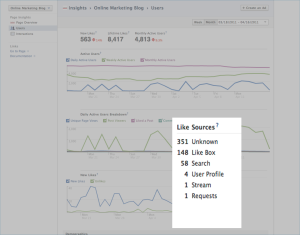 In-Depth Analytics Reporting – Ever wish Facebook Insights would report in greater detail on your website analytics? 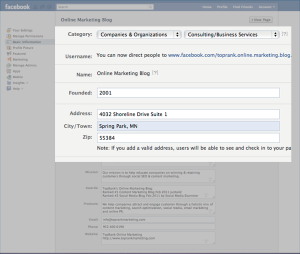 Facebook recently introduced new insight capabilities for those of you who have integrated your website with Facebook. If your website features a like button or the ability to like your pages on Facebook, you should be the most excited about the new like button analytics and popular pages insights. New like button insights share in real-time the number of impressions and number of likes coming from your website, which helps you measure and ensure ROI in social media marketing. To learn about additional analytics capabilities, visit All Facebook’s post, Facebook Rolls Out Expanded Insights for Websites. What do you think about the new Facebook marketing changes? How have they impacted the way you promote your brand and engage with your target audience?